By the time KISS Alive II was released in 1977, the mighty KISS machine was essentially a money press. 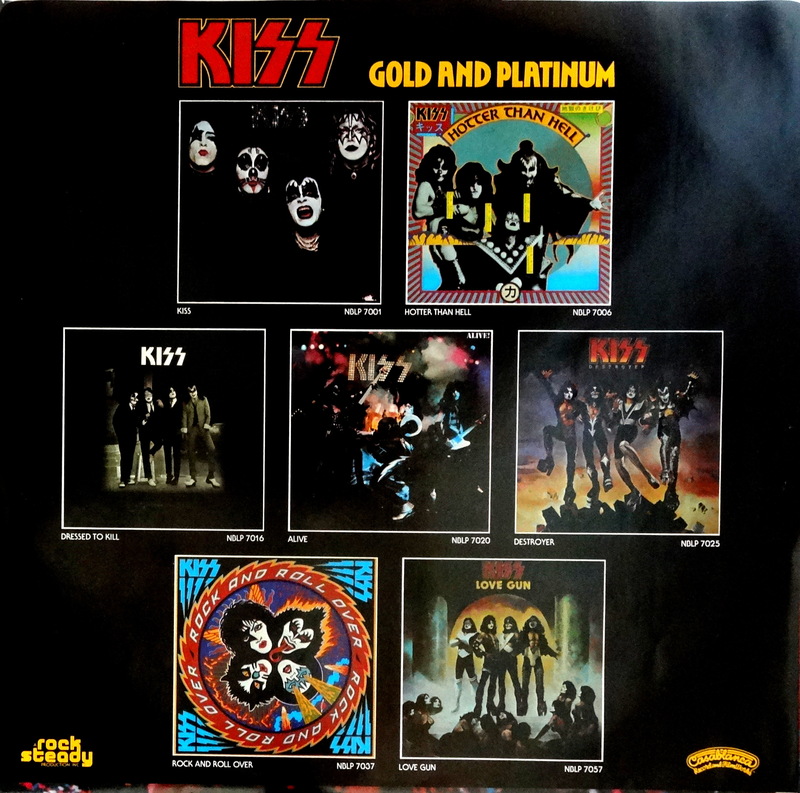 In three and a half short years, Casablanca Records managed to stuff the record bins with nine different KISS packages, six of which were original material. If that sounds like a lot of product, consider this: In 1978, Casablanca jammed another six KISS-branded albums into the bins. And on top of that, KISS merchandise was everywhere. No wonder the first-wave fans were all but gone by 1979’s Dynasty. Anyway, 1977 was KISS’s peak year, and nothing captures their magical combination of hype, gimmicks, and big dumb rock better than Alive II. Like its predecessor, 1975’s Alive!, everything about this album is sweetened. The crowd noise is heightened, cannon sound effects are used for the explosions, instruments and vocals are overdubbed. Even the gatefold sleeve is a fiction: A staged photo of all of the band’s effects going off at once. Paul Stanley makes no apologies for this in his recent memoir. His logic is this: The goal wasn’t to capture a KISS show, but to capture the sensation of a KISS show. I get that. 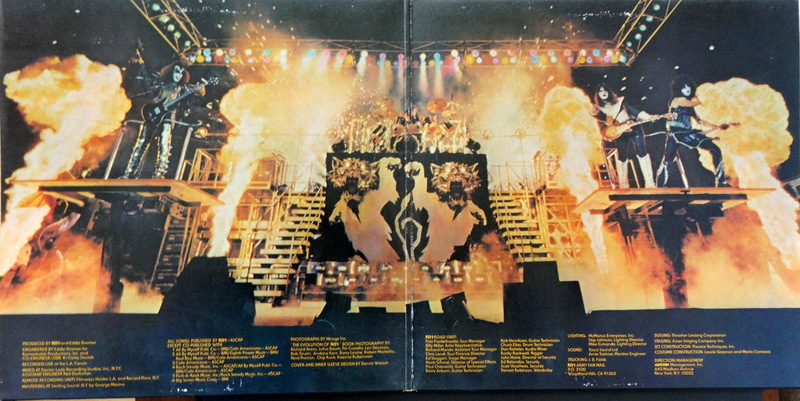 I spent hours as a kid staring at that gatefold, imagining I was there. One little flash pot going off wouldn’t have had the same impact. And speaking of impact, that stencil font on the cover coupled with that over the top photo of Gene Simmons gave me the sensation that a KISS show was some kind of war. Bathed in golden light, Ace looked like a true spaceman, and back lit Paul was the iconic rock star. Also, Peter. Peter is on the cover, too. Sweet Christine’s sixteen did I want to go to that show. 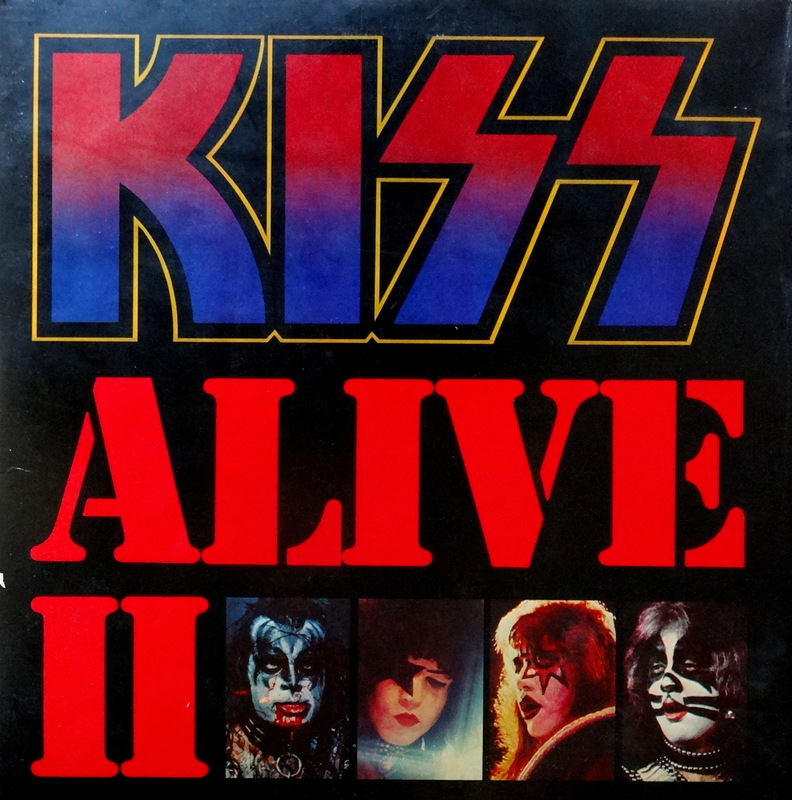 The band didn’t have enough new material in their stage show (i.e., new since the previous live album) to justify a two record set, so side 4 of Alive II contains pure studio filler. I was an Ace kid so my choice cut was “Rocket Ride,” but Gene’s creepy “Larger Than Life” was good for some elementary school dirty giggles. But listen: If you think it’s all abut the music, then you weren’t ten years-old in 1977. A new KISS album was like the ultimate box of Fruity Pebbles: full of prizes. 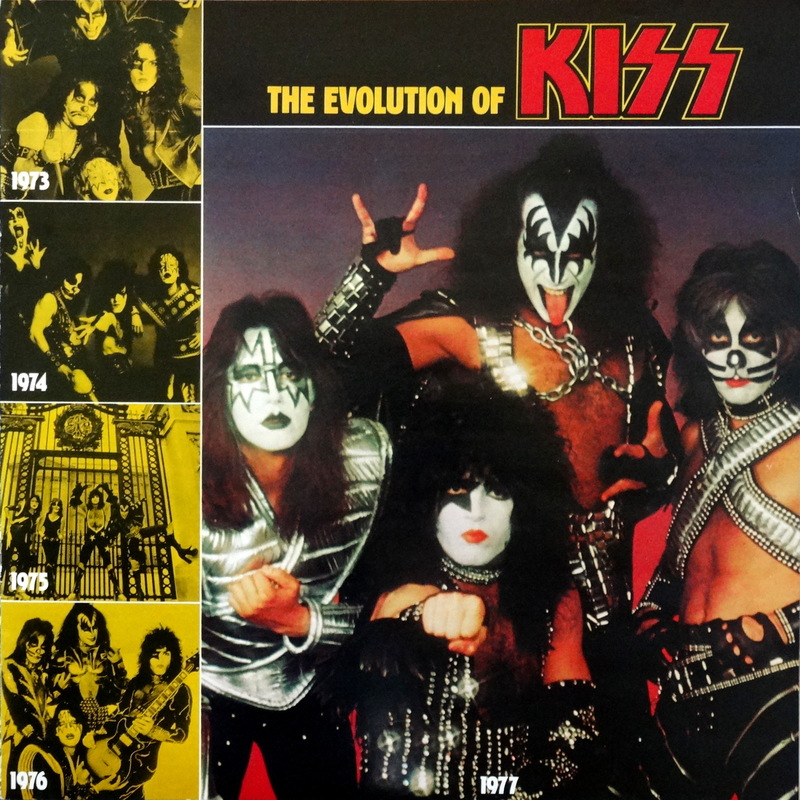 Alive II included an album-sized booklet entitled “The Evolution of KISS,” which seems like overkill for a band that hadn’t even celebrated its fourth birthday. On the other hand, it was stuffed with photos so I wasn’t complaining. 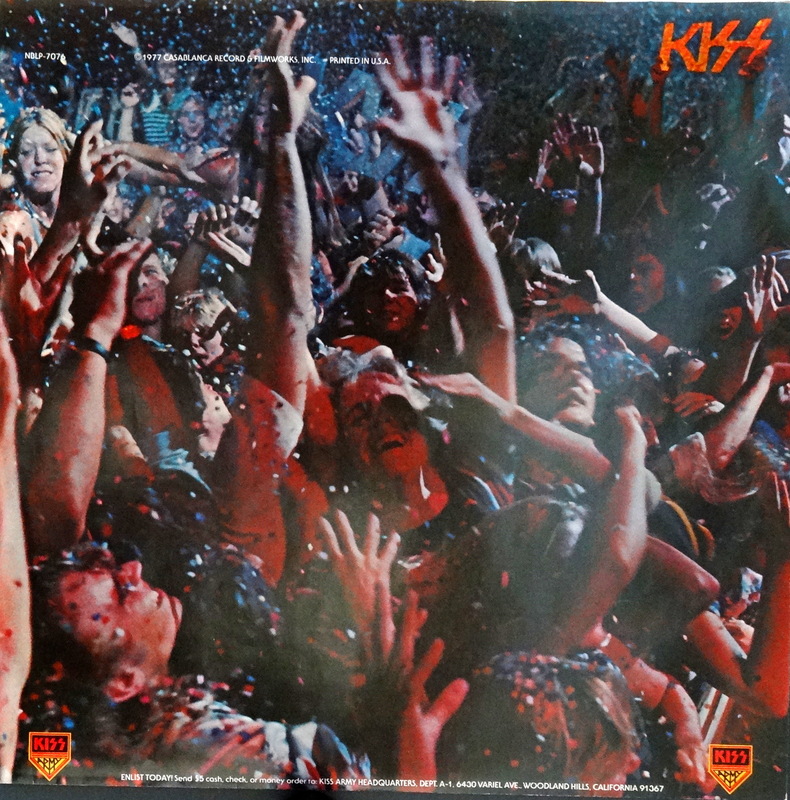 Tossing the record onto the turntable and thumbing through the booklet photos was as close to seeing a KISS concert as I was going to get in the pre-VCR and too-young-to-go-to-shows era. 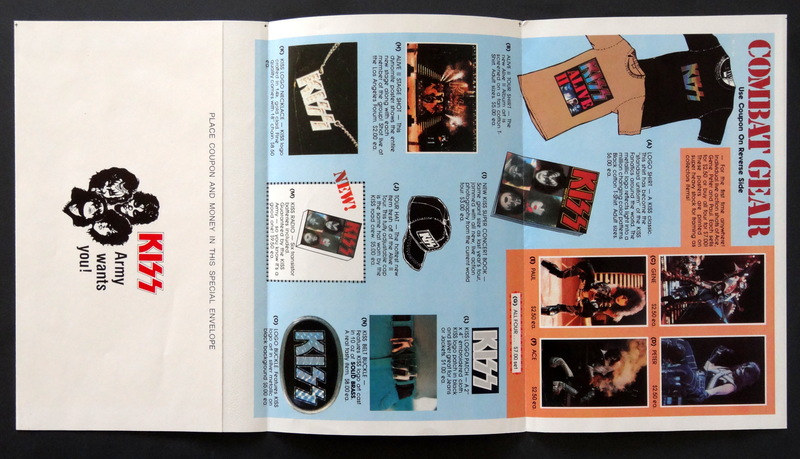 Every KISS album came with an insert inviting the lucky purchaser to buy more crap, and more importantly join the KISS Army. I don’t know how many of these flyers I filled out and never mailed in. Damn you, mirrored KISS belt buckle! You may have evaded me for over 30 years, but the war isn’t over yet! You will be mine! 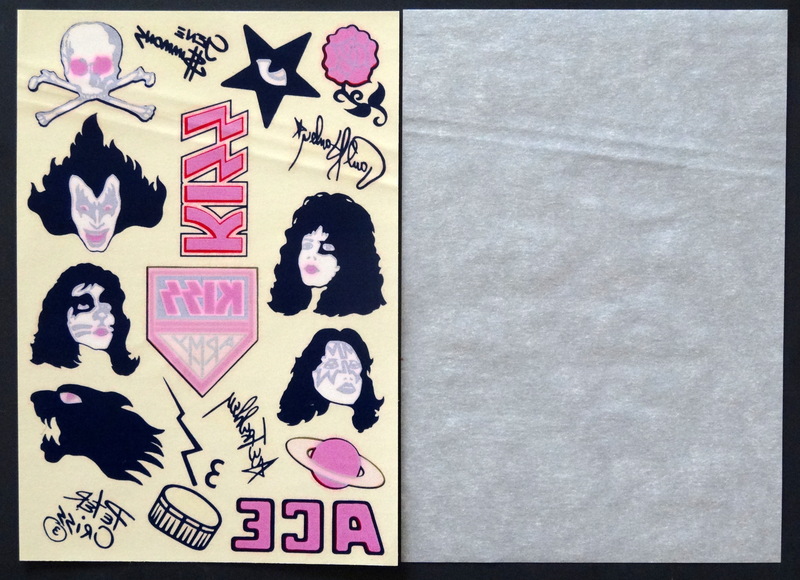 Even the inner sleeves were covered with artwork, and to Paul Stanley’s point that photo captures the spirit of a KISS show perfectly. See that dude in the center of the photo, arms outstretched and grinning like a madman? That’s exactly what I looked like when I finally attended a KISS gig and the confetti started flying. You won’t get any argument from me that the band’s songs are simple and their lyrics sophomoric. I won’t debate you when you state that Peter Criss’s drum solo is, well, bad, or that Paul’s stage patter borders on sassy black girl. But none of that matters. I’ve been to an insane number of shows in my life, and for sheer joy and entertainment, nothing beats a KISS show, and the entire Alive II package (except side 4) captures that. If you can find a nice condition copy that still includes all of the inserts (especially the tattoos), you’re looking at the $50-$75 range. Most KISS albums are pretty beat up, so if you just want a copy you can score a scratched up one for 5-10 bucks. Happy hunting. I really loved Kiss in my younger days. I lost interest around the time Van Halen came out. I have not own a Kiss album since Ace and Peter left. After that the novelty just wore off but the music did not get better. Based on there music post 79 they would never have made the hall of fame, hence why the HOF declined to induct later members. Now they are just a really good marketing machine/ fourth of July party. It’s kind of funny that you lost interest around the time Van Halen came out because Gene Simmons is largely responsible for Van Halen’s break through albulm. Not only was he an early advocate, but Ed and Al played on some of Gene’s demos for “Love Gun.” Small world! I remember buying this album. There were two stores that carried music at the mall – Woolworth’s and a music-only store whose name I can’t remember. Woolworth’s, who was always cheaper, didn’t have it in stock so I had to pay extra and bought it at the other. All of my inserts are long gone. I think I cut up the booklet and attached the photos to the posters in my bedroom. I put the Ace tattoos on a faux leather hat I used to wear. I have no idea what happened to the rest. I played the hell out of that album, over and over again. “Shock Me”. Oh, my God. I actually really liked side 4. Still do. A live album plus new songs too? C’mon! I even remember when “Rocket Ride” was on Kasem’s American Top 40, peaking at…#39. I’ve seen KISS only twice, but with all four original members. The last was their ’96 reunion. The first was the Dynasty tour in ’79. I was standing right up in front of the stage between Ace and Paul. That night I walked out grinning like a little girl with one of Ace’s guitar picks in my pocket. 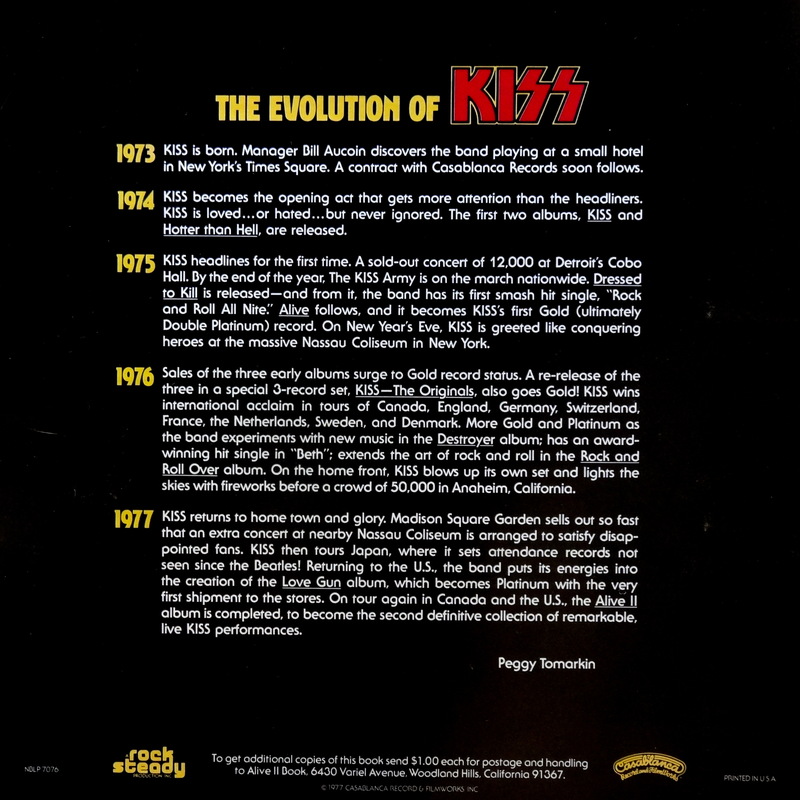 I also used the Evolution book for faux-posters, and I believed every bit of hype I heard about KISS – that everything shipped platinum, that they were the greatest band in the world and that these shows were actually recorded and released as is. My first bit of disillusionment came with a bootleg tape I saw of Cobo Hall, the basis for Alive 1. God, they sounded horrible, dropped the last note in every line, the drumming sounded like it was performed on tupperware containers, and on and on. 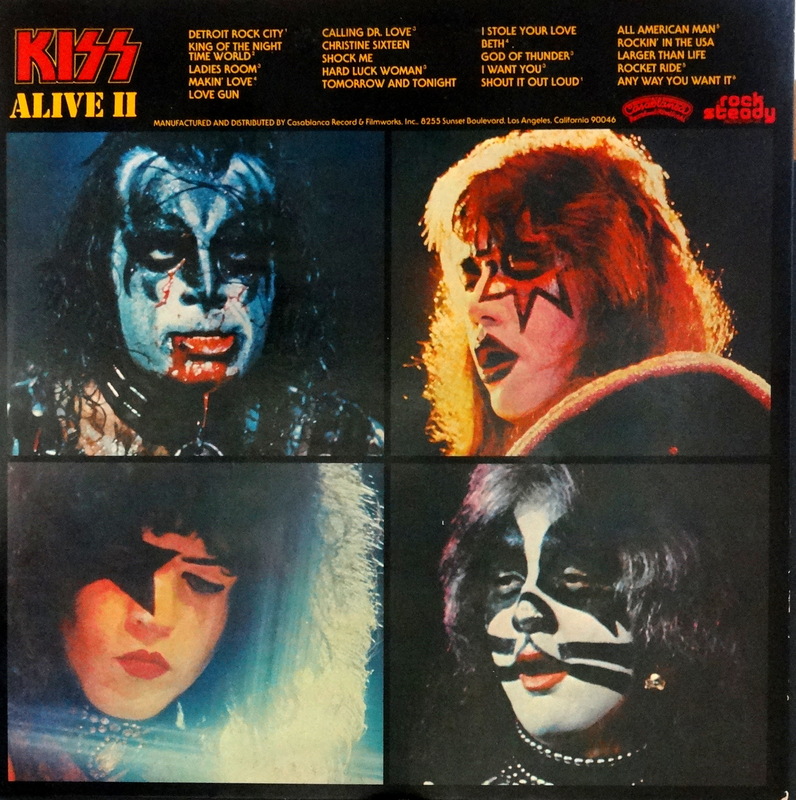 I recently took a copy of Alive II out of the library just for grins and giggles…it’s mood music. If I’m on the mood to hear a song from the album I’ll just scroll down my i-pod. However, I still love Ace’s guitar solo from Shock Me. The vocals are off key, the audience noise is fake, but it’s still one hell of a gutar solo. By themselves? Around 15-20 bucks for a mint condition sheet. It was planned from the beginning (by Gene) to have the 4th side be a studio recording. It had nothing to do with there not being enough material for 4 sides live. maybe but it’s still true they didn”t have enough new material for a double live album. 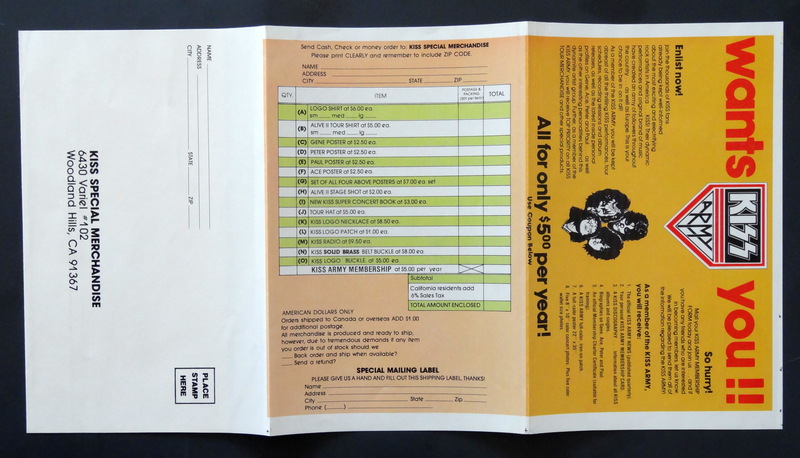 I’m still looking for the original inserts too !! I remember being disappointed with this record. it wasn’t as good as Alive! and the marketing was getting to be ridiculous. Rock and Roll Over was a solid rock album without all the crap. Love gun was a good record too. but it was all downhill from alive 2 on.. I had the album and saw the tour. My first big ‘arena’ show. To say that Kiss was big back then is a understatement. I quite liked side four but the wait between the next album was too long and by that time heavier bands were starting to break like VH, Judas Priest, AC/DC, Scorpions, etc. And to add insult to injury, they cancelled their Dynasty tour show in my town ONE day before showtime because they couldn’t use their pyro. That was it, I was done with them after that.